It is natural to have fears, they are a healthy response to danger. It's a survival instinct to assist us and help us avoid situations that are threatening. 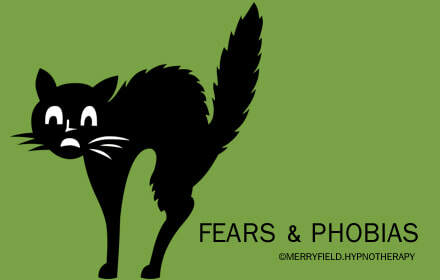 It's when our fears develop into phobias that they cause us problems. For example, when we have a fear of heights we will take precautions when we have to do something that involves heights. We may get someone to help us by holding the ladder. Perhaps hire a cherry picker instead and make sure we're strapped in when we use it. In short, somehow we manage. When we have a phobia involving heights it's different. Instead of working out ways to get around it we go into melt down. We may start shaking, feel nauseous, start to sweat and feel light headed and begin to feel anxious. It could even go as far as a complete panic attack. It's worth noting here that we could have any of these reactions just by thinking about it! If the phobia is something that you do not come into contact very often, it will not have a big impact on your everyday life. However, if it is something that you come across often it can have a severe impact on your day to day life. A phobia is a type of anxiety disorder. They are learned responses and exist in our subconscious. Phobias are usually placed into two categories. Agoraphobia - When we feel anxious about being in a certain place or situation and feel trapped. This often results in a person avoiding busy or crowded environments or using public transport. They can even prefer to be alone. Social Phobia: Often called Social anxiety Disorder. This tends to centre around social situations and interactions. Someone with this sort of phobia would probably avoid speaking in front of others, in case they are made to feel stupid. In extreme cases this can lead to avoiding socialising altogether and it affects daily life heavily. A phobia can be caused by a learned response or a particular event. For example in the first instance a child may pick up a fear of spiders if they witness the reaction of a parent when they saw a spider. Subconsciously the child learns that a spider must be dangerous and should be feared. For a particular event, a boat trip in stormy weather at a young age can develop into a fear of travelling by boat at sea. Regardless of the cause it is good to know that phobias can be treated successfully, and hypnotherapy is very good at doing that. As phobias are at a subconscious level we are unable to just tell ourselves to just get over it. Our primitive mind is usually far too strong to let this happen. Hypnotherapy enables us to go under the radar. We are able to talk to the subconscious without alerting the primitive brain. This is when changes to our thought patterns can be made and our phobias lessened or even removed.